Years of increasingly rigid policies curbing the ivory trade have started to pay off, China’s State Forestry Administration (SFA) said Sunday. “The amount of smuggled ivory tracked down in China fell 80 percent in 2016,” the SFA said. The decline comes as a culmination of several crackdowns on the illegal trade including a pledge by Chinese authorities to terminate the commercial processing and sale of ivory by the end of this year. In 2014, China 100,000 agents, police, judiciary, customs and forestry officials launched Operation Cobra II which led to the arrest of some 400 poachers and smugglers of endangered wildlife products in China and Africa. 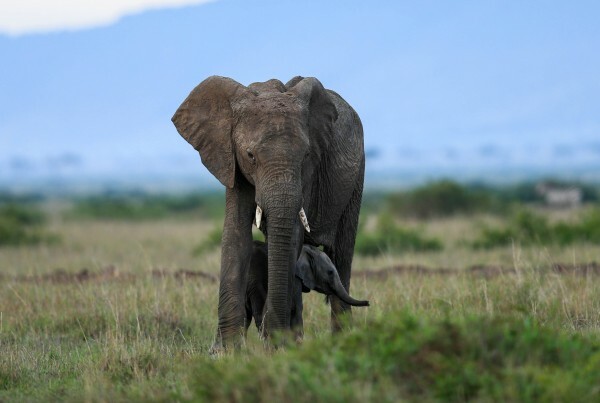 A short time later, the US officially banned the domestic trade of elephant ivory in a bid to further pressure the illegal trafficking market that has led to the poaching of up to 50,000 elephants a year. In 2015, the SFA imposed a one-year ban on the import of African ivory and carvings. In October 2016, Chinese authorities renewed the ban on African ivory imports for three years. China signed a pact banning global trade in ivory in 1981, but it got an exemption in 2008 to buy 62 tonnes of ivory from several African countries. It releases a portion of that stockpile each year to government-licensed ivory carving factories. The US and China are among the largest markets for illegal wildlife trade, which contributes nearly $10bn in profits to criminal groups annually, according to the US State Department.